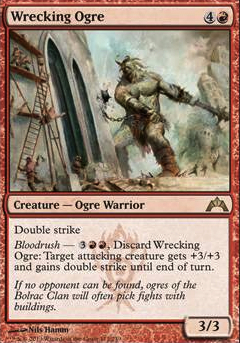 Double Strike Bloodrush — 3RR, Discard Wrecking Ogre: Target attacking creature gets +3/+3 and gains double strike until end of turn. 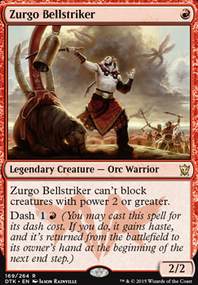 greyninja probably won’t do Wrecking Ogre since I am primarily trying to keep the deck centered on Angel tribal, but Aggravated Assault seems pretty good and I don’t really know if I want to buy a Sword of Feast and Famine for the deck despite how good the card is. 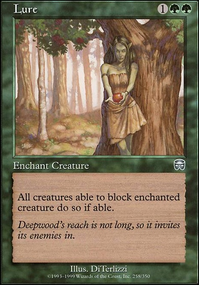 Feel free to check out the Aurelia deck that I've built for my wife for ideas. Have fun! Hey Akki0! 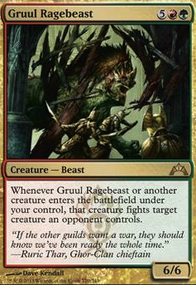 I don't like to play infect, so Grafted Exoskeleton is no option for me :/ Wrecking Ogre is a good one, but I personaly think, that it does not fit in the theme properly and the creatures often have protRed. rob_shifflett on Need more power!! 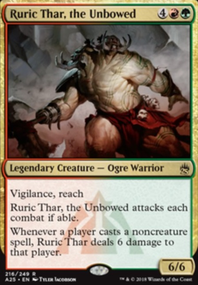 Skarrg Goliath and Wrecking Ogre seem like a good fit here. Some of the other Bloodrush cards might be helpful. Blink cards seem like Cloudshift to reset the Hexproof and cards like Ghostway to get past board wipes could make this deck quite resilient. 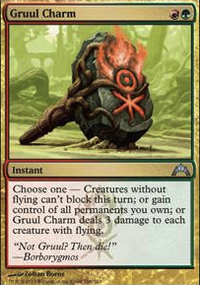 Commander's Sphere is functionally better than the cluestone. Coalition Relic can play turn 4 aurelia if you don't miss a land drop. 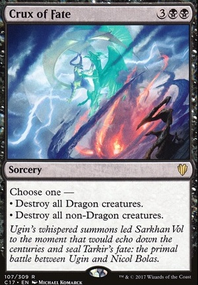 Thought Vessel will save you from scary stuff like Jin-Gitaxias, Core Augur. I'm wondering how you fare on powering Aurelia out with only 33 lands, do you feel it's enough with the ramp you have? Both Grafted Exoskeleton and Wrecking Ogre sound like solid plans. Everything that means one-shoting a player is quite good, because there are many decks that won't give you a second chance once you catch them off guard. 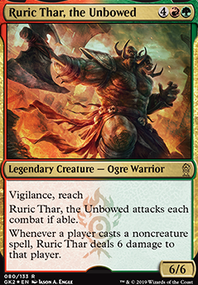 I kinda like the Ogre better because it won't give an additional weakness to Aurelia and once it has done its thing it won't flag you as a insane threat anymore in the game. 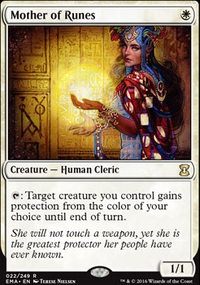 Etali, Primal Storm is as slow as any other CMC 6 creature but free casting spells is one of the most broken things in the game, specially when you do it without spending cards from your hand. You'll probably have four players to attemp the free casts each attack, and youl'll get to do it twice each turn. I think it's totally worth to give it a try. Aurelia is the perfect commander to get peak performance from Etali, if it isn't good in this deck it won't be good in any deck at all.